The Weed and Seed Program has been supported by the U.S. Department of Justice since 1992 and is currently operating in over 300 cities. The Weed and Seed strategy aims to prevent and reduce violent crime in designated neighborhoods through increased enforcement, community policing, prevention and treatment services, and neighborhood restoration. The third national evaluation is focused on which strategies and program structures lead to reductions in crime and violence, and is being conducted by researchers at RTI and JRC. This evaluation is due to be completed in mid-2009, with publications to follow. More information on the Weed and Seed Program is available at www.ojp.usdoj.gov/ccdo/ws. SACSI was a crime reduction program sponsored by the U.S. Department of Justice which relied on data-driven, collaborative problem-solving focused on reducing violent crime city-wide. The national assessment of SACSI in 10 cities was conducted by the University of Illinois and JRC under a grant from the National Institute of Justice; it focused on partnership dynamics, collaborative problem-solving strategies, the use of research, and program impact. Under contract to the Executive Office for Weed and Seed, U.S. Department of Justice, Dr. Roehl developed a monograph to guide Weed and Seed coordinators in evaluating their own local efforts. To achieve community empowerment and solve crime, drug, and nuisance problems, Safe Streets Now!, a non-profit organization, teaches neighborhood residents to apply civil remedies, particularly filing small claims court actions against property owners who refuse to address known problems on their property. JRC conducted a comprehensive evaluation of Safe Streets Now! to assess (1) the effectiveness of the approach in solving local problems and (2) the costs and consequences of replicating the approach nationally. The Urban Institute conducted an evaluation of Title I of the 1994 Crime Control Act designed to place 100,000 community police officers on the beat. Dr. Roehl of JRC was part of the national evaluation team, responsible for site visits and case studies for western COPS grantees, report writing, and the preparation of an Issues Brief for the National Institute of Justice. Community Policing: Can it work? Belmont, CA: Wadsworth Publishing Co.
Roth, J.A., Ryan, J.F., Gaffigan, S.J., Koper, C.S., Moore, M.H., Roehl, J.A., Johnson, C.C., Moore, G.E., White, R.M., Buerger, M.E., Langston, E.A. & Thacher, D. (2000). 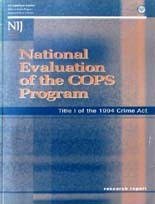 National Evaluation of the COPS Program: Title I of the 1994 Crime Act. Washington D.C.: National Institute of Justice. The Beat Health Unit of the Oakland Police Department leads multi-agency teams targeting crime and disorder problems with civil remedies, using citations for code violations, nuisance abatement laws, and coercion of third parties to clean up blighted and drug nuisance places. In partnership with researchers at the University of Cincinnati, JRC conducted an experimental field study of the interventions. Mazerolle, L.G., Price, J.F., & Roehl, J. (2000). Civil remedies and drug control: A randomized field trial in Oakland, CA. Evaluation Review, 24 (2), 212-241. Mazerolle, L.G. & Roehl, J. (1999). Research in Brief: Controlling Drug and Disorder Problems: Oakland's Beat Health Program. Washington, D.C.: National Institute of Justice, U.S. Department of Justice. Mazerolle, L.G., Roehl, J., & Price, J. (1998). Controlling social disorder using civil remedies: Results from a randomized field experiment in Oakland, California. In L.G. Mazerolle & J. Roehl (Eds.). 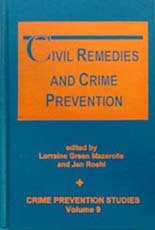 Civil remedies and crime prevention, Crime Prevention Studies, Vol. 9. Monsey, New York: Criminal Justice Press. Mazerolle, L.G., Kadleck, C., & Roehl, J. (1998). Controlling drug and disorder problems: The role of place managers. Criminology, 36 (2), 371-404. With support from the Bureau of Justice Administration, U. S. Department of Justice, JRC conducted a series of workshops to train drug court coordinators in the use and customization of Access-based management information systems. Participants learned how to use management information systems developed by JRC for adult and juvenile drug courts (see sections below for additional information), how to adapt the existing versions to the particular needs of their own courts, and how to make use of MIS data for program monitoring and self-evaluation purposes. With support from the State Justice Institute, JRC developed management information systems and self-evaluation manuals for juvenile and adult drug courts. The MIS systems run on Access, and are used for case management, program monitoring, routine reporting, and evaluation. Each MIS is a simple menu-driven system that begins with on-screen forms for data entry, to record information on participants and their progress through drug court from intake to final disposition and follow-up. Built-in reports generate useful lists, summaries of individual progress, and case statistics at the push of a button. The built-in forms and reports may be modified to meet a particular courts unique needs, and the systems are adaptable to other types of problem-solving courts. 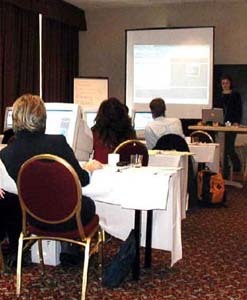 User manuals for the MIS systems include instructions for customizing the MIS. The self-evaluation manuals guide drug court practitioners through all phases of evaluation. They begin with the basic steps of identifying goals and objectives and linking evaluation questions to measures, describe how to document program implementation and operations for a process evaluation, summarize how to assess program effectiveness in terms of recidivism and rehabilitation, and conclude with advice on how to pull it all together and present evaluation findings. Funded by the National Institute of Justice through Johns Hopkins University, the purpose of this study was to test instruments and measures used for assessing risk in intimate partner violence situations. In an experimental design, baseline interviews were conducted with over 1300 domestic violence victims in Los Angeles County and New York City. Follow-up interviews and criminal records checks of the offenders six months to a year after the baseline interview were completed. Roehl, J., OSullivan, C., Webster, D., & Campbell, J. (2005). Intimate partner violence risk assessment validation study: Final Report. (Available at www.ncjrs.org, NCJ 209731.). Funded by the State Justice Institute, this study documented the practices of state courts in assessing dangerousness in domestic violence cases, with a focus on predicting lethality, and using these assessments in sentencing batterers. Roehl, J. & Guertin, K. (2000). Intimate partner violence: The current use of risk assessments in sentencing offenders. Justice System Journal, 21 (2), 171-198.